A fairly significant update to CS:GO should be queuing up in your Steam right now. You’ll find Operation Bloodhound, Profile Ranks for the non-competitive and a few under the hood changes. 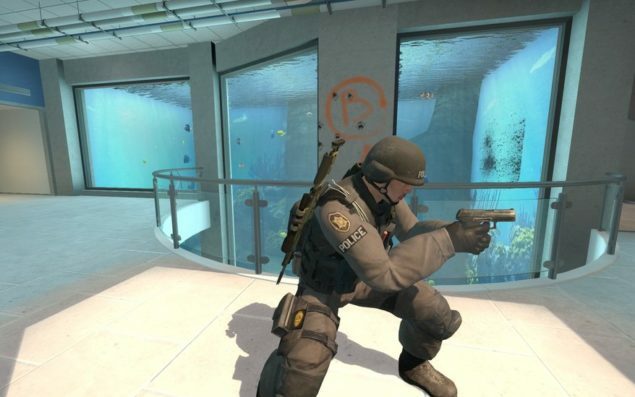 CS:GO Update brings more maps, a new Profile Rank and Operation Bloodhound. The CS:GO update that kicked off this evening is mainly about adding Operation Bloodhound, which brings six new maps, 62 missions in an all new campaign and a unique challenge coin upon completion. Completing Operation Bloodhound also gives players access to the Falchion Case with 16 community made weapons and a Falchion knife. Knives seem to be sacred treasure among CS:GO fans. Another interesting feature is the addition of different rank not associated to competitive mode. That is, regular matches count towards a different rank that’s displayed in your profile, called, appropriately, Profile Rank. So you have two ranks, one determined by your competitive skill and another that’s determined by the your points earned during all other game modes. Anyway, the new ranking might be a good idea to reward players for branching out beyond the usual competitive play. It can sometimes be quite the grind having to play the same map over and over and over again in order to achieve a good rank. It almost takes the fun out of what used to be a fantastic game. Now, however, those that don’t play professionally can enjoy being rewarded for playing for fun. It’s really fantastic news. The full change log and patch notes are below, listing all the changes found in the update. If you haven’t received it yet, then try restarting Steam to see if it starts downloading. Launched Operation Bloodhound, available until September 30th, 2015. The upgradable Operation Bloodhound Challenge Coin, which can be displayed on your profile and in the scoreboard. Active Duty and Operation Competitive performance. Two all-new campaigns, with 62 missions rewarding additional XP throughout the Operation. Earned weapon drops will come from the Operation Bloodhound exclusive weapon collections: Cobblestone, Cache, Overpass, and all-new collections Gods and Monsters, The Rising Sun, and Chop Shop. Exclusive access to the Falchion Case, containing 16 community-designed weapon finishes and the all-new Falchion Knife. Added two new Mission types, Assassination and Guardian Co-op which are playable via campaign missions in the Operation. Introducing Profile Ranks, viewable in-game on your CS:GO profile. Play on official servers to earn XP and rank up your CS:GO Profile Rank. In Competitive Mode, your earned XP is determined by your rounds won. In all other modes, your earned XP is determined by your score. You can earn additional XP by completing Operation Bloodhound Missions. In addition to increasing your CS:GO Profile Rank, your first Rank earned each week will reward you with an earned weapon drop. If you own an Operation Bloodhound Access Pass, your weapon will come from one of the exclusive Operation Bloodhound weapon collections. Reduced Round timer from 3:00 to 2:15. Increased warmup time from 30 to 90 seconds. Disabled vote to restart match. Vote to change level is disabled after a team has reached match point. Fixed sometimes (but rarely) seeing health of players on the other team in the mini scoreboard. Fixed the freeze panel sometimes getting stuck on and staying on even after the player is alive. Added trace-based visibility checks to prevent networking invisible enemy players. Updated CSGO engine to the latest Steam API SDK. Improved support for integrated web browser MOTD popups. Fixed voice chat echo in lobby. Re-enabled a bunch of player model variants including the much missed Balkan “Ido” model, otherwise known as tm_balkan_variantC. Added a convar (sv_disable_immunity_alpha) that when set, allows mods to handle their own alpha on players. Limited support for FBX in studiomdl. Added sv_vote_to_changelevel_before_match_point (default 0, vote is never disallowed). When set to 1, the vote to change level is disabled after a team has reached match point. Bug fix: fixed metal sounds being made on all surfaces throughout the map. And, the new Falchion knife. Looks almost like a buck knife, or like a knife “used to cut packing tape,” as an associate called it.